With the full support of owner/developer Harry Stinson, the City of Hamilton is moving forward with the heritage designation of the former Gibson elementary school at 601 Barton Street East. The former Gibson School, located at 601 Barton Street East, Hamilton, has heritage value as a contributor to the Hamilton public education system for nearly 100 years (1914-2009). The former school building also has design value as a representative example of the Edwardian Classicism architecture style that was common in Ontario between approximately 1900 and 1930. The former school was most likely designed by Hamilton architects Stewart and Witton, who designed many prominent public buildings and residences in Hamilton. The designation will allow Stinson to access heritage grants and other programs for the renovation of the building into residential apartments. Stinson and I chatted a few weeks ago about the building, how its conversion to residential will serve as a catalysis for that stretch of Barton, and the most interesting part of our conversation was on the impact of the restorative washing of the exterior bricks. 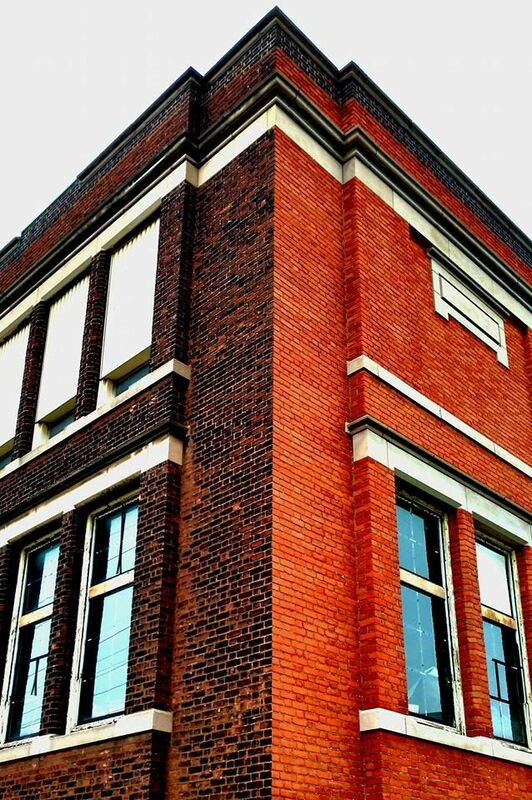 After over 100 years, construction of the school was completed in 1914, of exposure to air pollution – only blocks from Hamilton’s heavy industry – the beautiful bright bricks had become a brownish-black colour. 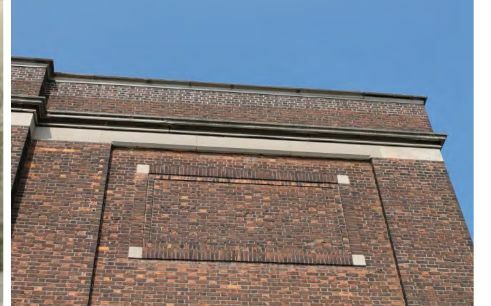 When the Board of Education had to repair bricks near the roofline, they replaced the original bricks with bricks that matched the pollution stained colour. You can see the difference in this pre-restoration photo contained in the City’s heritage assessment report. City of Hamilton photo showing the roofline of Gibson School. Note the difference between the original bricks and bricks at the top adding during a renovation decades ago. Now that Stinson’s starting restoring the building, the dark bricks are out of place. It will be interesting to see how this quirk of historical neglect is handled in the final design. Thanks to Zena Hagerty for this photo showing the cleaned bricks which clearly shows the difference in brick work.